Animalife Vetroflex Original is a scientifically formulated, targeted supplement containing a completely natural proprietary peptide blend of hydrolysed collagen to support strong, flexible and healthy joints and bones. 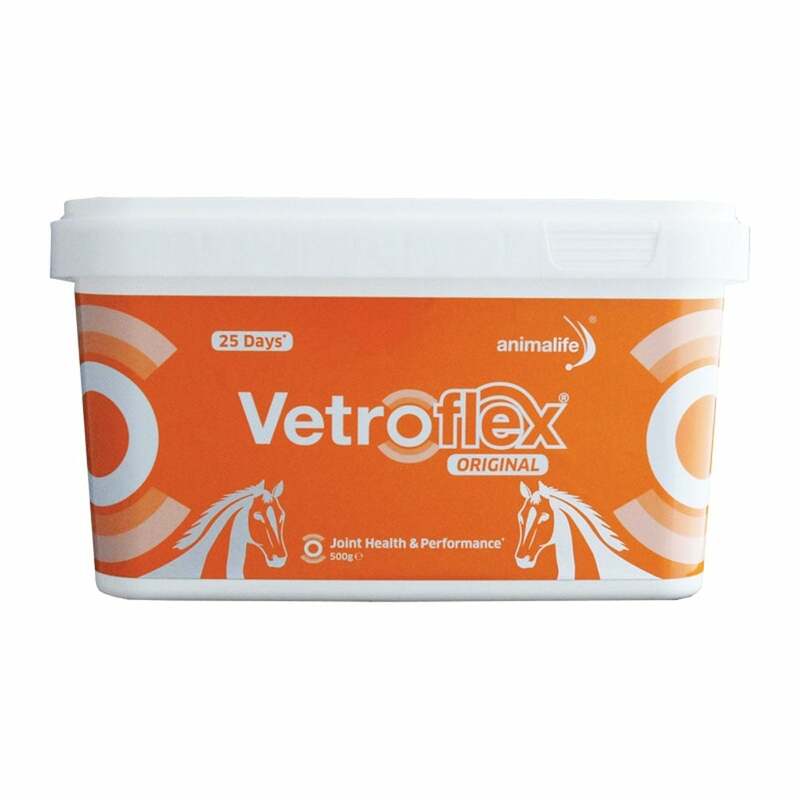 Vetroflex Original is free from banned ingredients and is safe to use with the performance horse. Supporting healthy cartilage in your horse’s joints, ligaments and tendons is fundamental to performance in equines, however wear and tear can occur at any age and active equines are particularly susceptible. Vetroflex Original is a pure peptide protein complex that has been scientifically formulated to ensure rapid and maximal absorption to strengthen and protect the joint. Vetroflex Original works by protecting cartilage and synovial fluid against deterioration whilst stimulating the cartilage cells to promote more collagen and proteoglycans. Vetroflex Original has the same amino acid composition as collagen and supplies the amino acids such as glycine and proline, of particular importance for the synthesis of collagen. Feed Vetroflex Original every day, on a long-term basis, to all horses, particularly those that show signs of stiffness and reduced performance levels. Vetroflex Original supports the maintenance of suppleness and flexibility in every equine. Vetroflex Original is a palatable, fine white powder that can be mixed into your horse’s daily feed.